A country music hall of famer is coming to Salina. 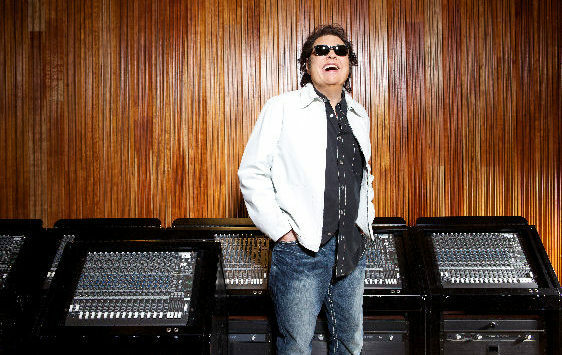 The legendary Ronnie Milsap is coming to the Stiefel Theatre. It settled Milsap’s fate. Living in Atlanta, playing clubs and doing sessions the future Country Music Hall of Famer caught wind that JJ Cale was looking for a keyboard player. Cale hired him. Ronnie went on to work at the Whiskey for a good while. Milsap has forty number hits over five decades of charted singles. He has six Grammys, a CMA Entertainer of the Year Award, and four Album of the Year Awards. He is credited for creating a new way of recording (being blind his hyper-attuned hearing led him to create/build what is now known as Ronnie’s Place, where the new album, the Duets, was captured). He broke genre rules and became one of the biggest pop/AC and even R&B artists of the late ‘70s and early ‘80s. Ronnie Milsap will perform at the Stiefel Theatre in Salina on Saturday, August 10th. Tickets start at $38 and go on sale this Friday.